(An AV8RSTUFF Creation): VF-101 was the RAG (Replacement Air Group, ie, the training squadron) for the F-14 Tomcat out of NAS Oceana, VA. When the Tomcat decommissioned, the squadron was deactivated for a short while before being reinstated and moved to Eglin AFB, FL where the students underwent joint training with the USAF to learn to fly and take care of our nation's newest asset. This squadron is (again) being disestablished, in hopes that they will be reactivated at NAS Oceana, VA a year later. 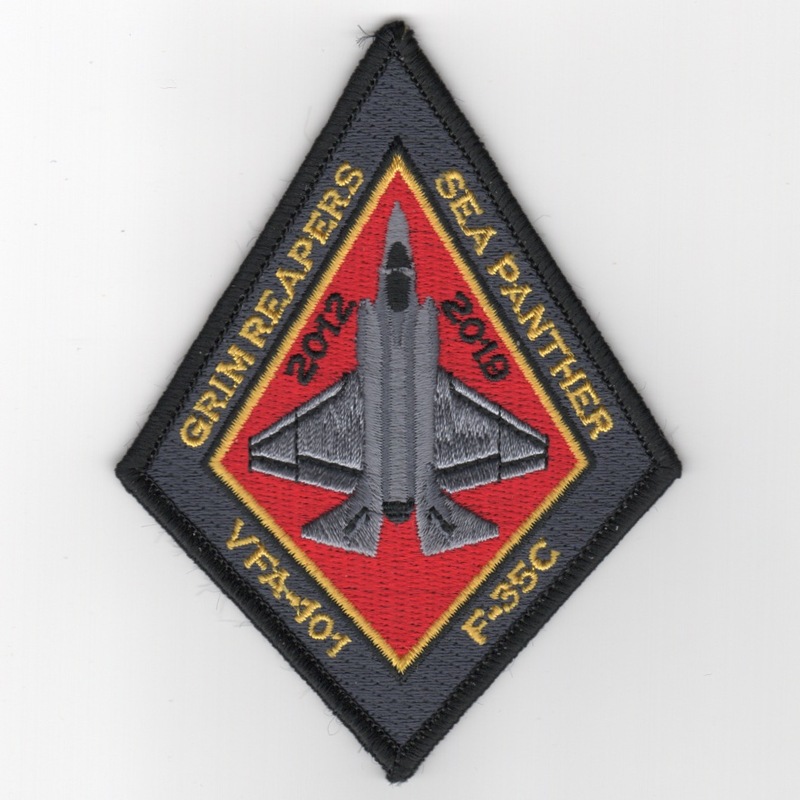 This is round version of their DECOMMISSIONING patch and does not come with velcro attached. 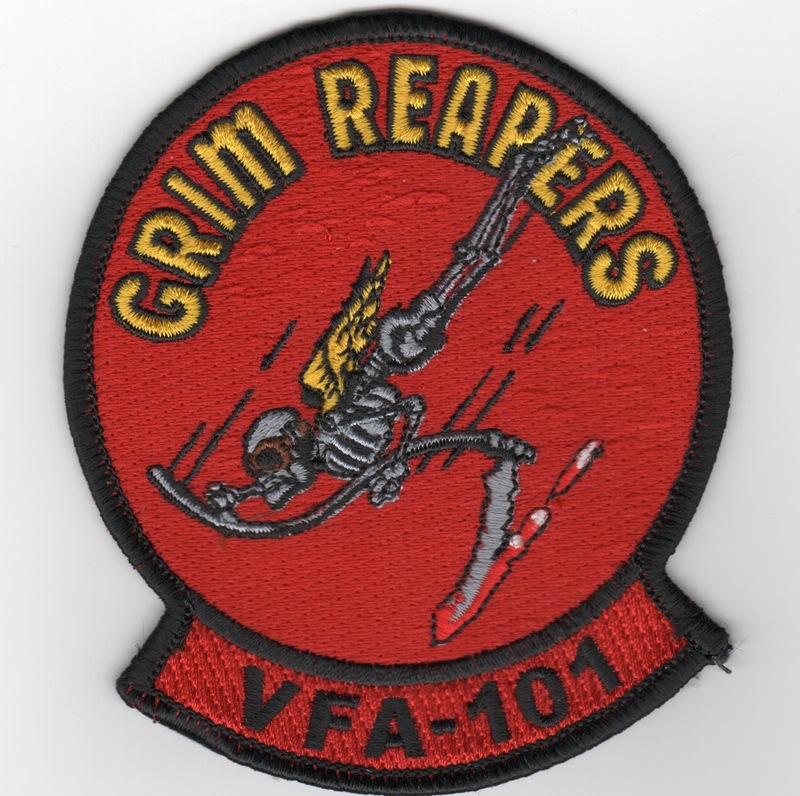 (Obtained from the squadron): VF-101 was the RAG (Replacement Air Group, ie, the training squadron) for the F-14 Tomcat out of NAS Oceana, VA. When the Tomcat decommissioned, the squadron was deactivated for a short while before being reinstated and moved to Eglin AFB, FL where the students underwent joint training with the USAF to learn to fly and take care of our nation's newest asset. This squadron is (again) being disestablished, in hopes that they will be reactivated at NAS Oceana, VA a year later. This patch does not come with velcro attached. (An AV8RSTUFF Creation): VF-101 was the RAG (Replacement Air Group, ie, the training squadron) for the F-14 Tomcat out of NAS Oceana, VA. When the Tomcat decommissioned, the squadron was deactivated for a short while before being reinstated and moved to Eglin AFB, FL where the students underwent joint training with the USAF to learn to fly and take care of our nation's newest asset. This squadron is (again) being disestablished, in hopes that they will be reactivated at NAS Oceana, VA a year later. 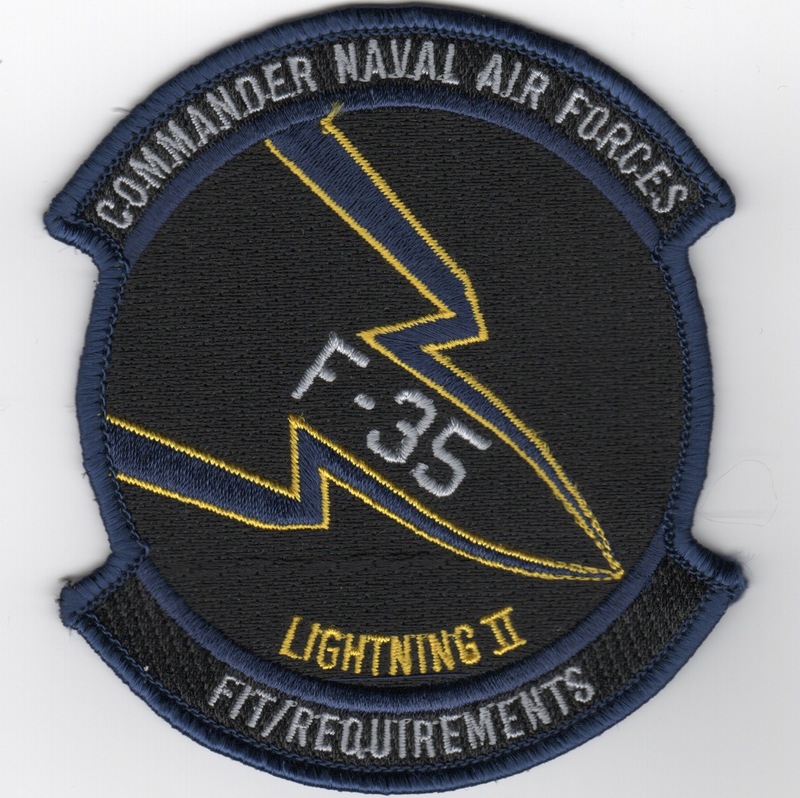 This is 'black-bordered' version of their DECOMMISSIONING F-35C patch and does not come with velcro attached. VF-101 was the RAG (Replacement Air Group, ie, the training squadron) for the F-14 Tomcat out of NAS Oceana, VA. When the Tomcat decommissioned, the squadron was deactivated for a short while before being reinstated and moved to Eglin AFB, FL where the students underwent joint training with the USAF to learn to fly and take care of our nation's newest asset. 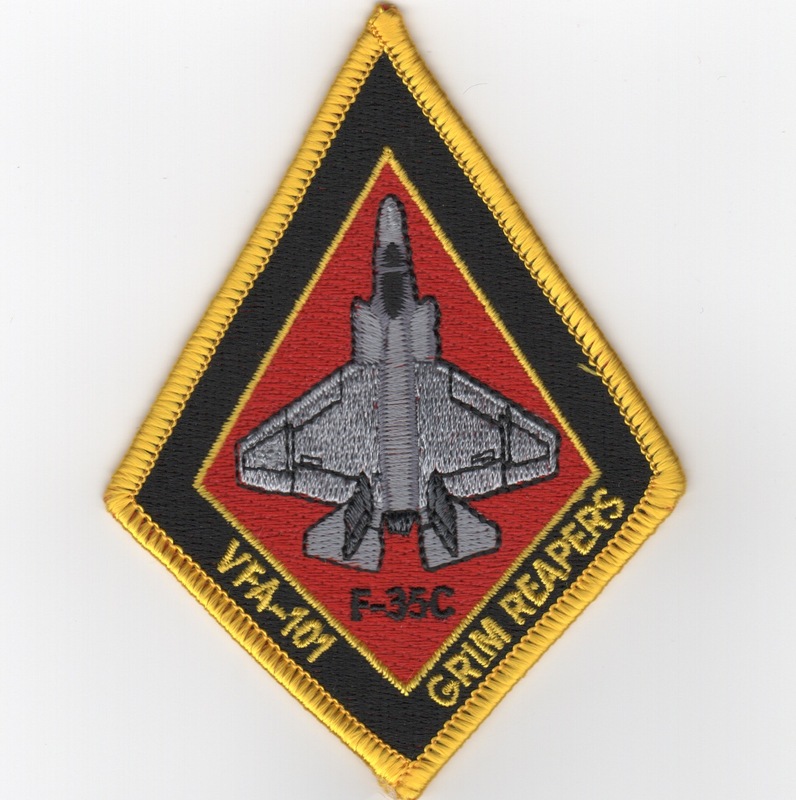 This is the 'yellow-bordered' version of their "diamond aircraft" patch created for the Grim Reapers. No velcro attached. 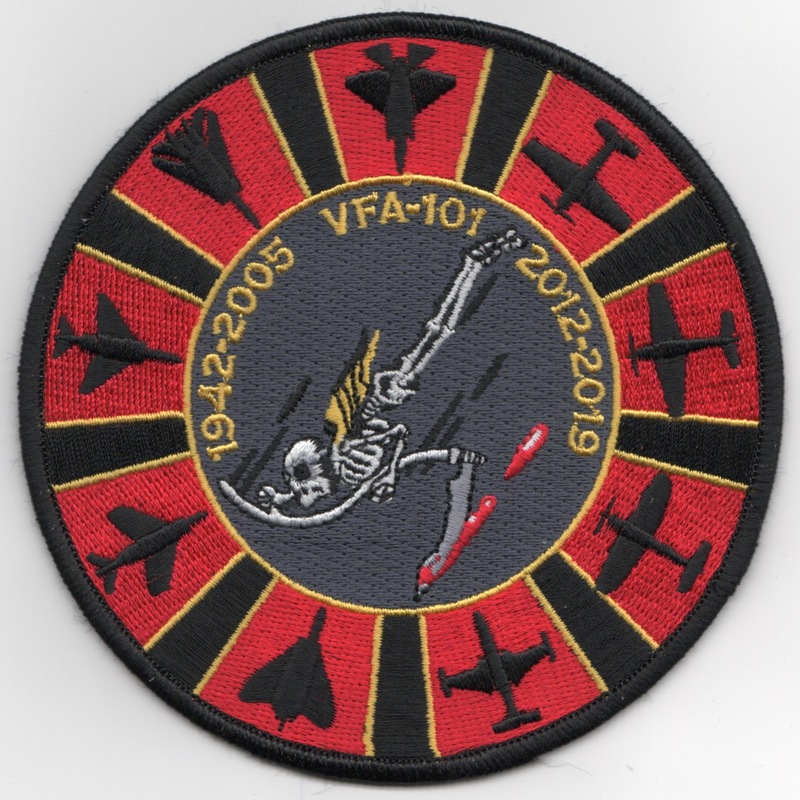 Homepage | Order VFA-101 Patches!